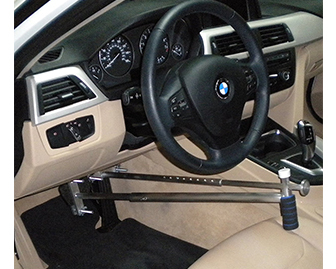 Hand controls that strap onto a vehicle’s foot pedals to allow control of the gas and brakes. Great for people that are able to drive but are limited by physical disability in their feet and lower extremities. The extended bars allows control while maintaining visibility. 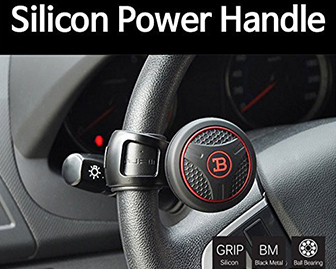 An enlarged knob that clips onto a steering wheel to allow the driver greater ease with turning the wheel. Can easily turn the wheel with one hand so it is a great tool for those with one sided weakness or paralysis. Also great for a slight decrease in hand grasp. 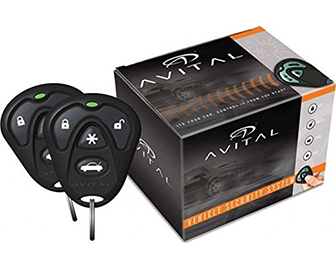 A remote controlled car starter used in winter to warm the vehicle’s engine prior to a drive. Great for seniors because it minimizes the amount of time spent in a cold car, can help defrost the windows, and minimizes time spent scrapping the windshield. 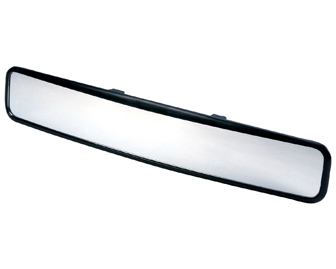 An attachable rear view mirror that offers an extended field of vision. By being extra wide, it gives the driver a greater sense of their surroundings and in turn promotes more safety within one’s commute.